Plenty of A-list actors, comics, and ball players hail from Brooklyn. But a matador? His given name was Sidney Frumkin, born in 1903 to Jewish immigrant parents who lived on tiny Jackson Place off 16th Street near Seventh Avenue. After a fight with his tough police officer father, 19-year-old Sidney, a dropout from Brooklyn Commercial High School, took off for Mexico. There, on more or less a whim, he sought out a star matador and asked him to teach him to fight. He renamed himself Sidney Franklin and impressed the crowd at his first fight, in Mexico City in 1923. 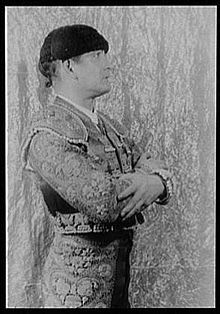 In the 1930s and 1940s, he was one of the world’s top matadors. He counted bullfighting fan Ernest Hemingway as a friend. ”Sidney Franklin is brave, with a cold, serene and intelligent valor,” Hemingway wrote in Death in the Afternoon, according to this 1999 New York Times piece. After decades of winning (and getting pretty seriously gored), Franklin retired in 1959 and returned to the U.S.
Franklin died in obscurity in the Village Nursing Home on Hudson Street at 72. This entry was posted on January 18, 2012 at 1:37 am and is filed under Brooklyn, Sports. You can follow any responses to this entry through the RSS 2.0 feed. You can leave a response, or trackback from your own site. I am Sidney Franklin’s (nee Frumkin) niece and I’d love to talk to you. I will be happy to call you if you supply a phone number via email. There are many rumors of not only being a great Matador but a man of great other kinds of bravery. 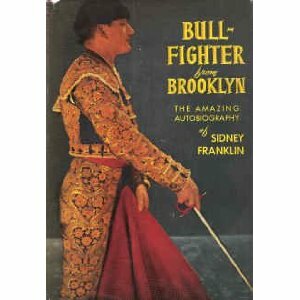 During his life as a Bullfighter, Franklin (nee Frumkin)’s time include he and Hemingway during the Spanish civil war transporting medical supplies to Moving persons at great risk (Many artists , writers, painters, political thinkers and the like, around Hitler’s war torn Europe by simply being a member of hie entourage. I would love to know if this is true.